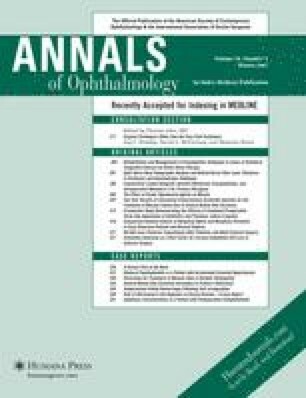 Efficacy and safety of blue-light-filtering acrylic IOL (HMY) were assessed and proven from 3 months to 1 year of postoperative follow-up in a clinical study performed on 80 eyes of 45 patients. Postoperative corrected visual acuity of all the eyes was 6/12 or better and 78.8% of them achieved higher than 6/6. The rate of mean corneal endothelial cell density decrease stood at 5.0%. Mild complciations were observed, but none were serious. Disclosure The authors have stated that they do not have a significant financial interest or other relationship with any product manufacturer or provider of, services discussed in this article. The authors also do not discuss the use of off-label products, which includes unlabeled, unapproved, or investigative products or devices.